This free printable Christmas Scavenger Hunt is a fun activity for kids who are getting excited for the upcoming holiday. This is a fun activity for kids to take along in the car with them while running holiday errands with you. Have the kids see how many items they can find while looking out the car windows. You can even bring it along with you into the store while running holiday shopping errands. It’s a great way to help keep your kids entertained during the busy holiday shopping season. Click here for this free printable Christmas Scavenger Hunt. 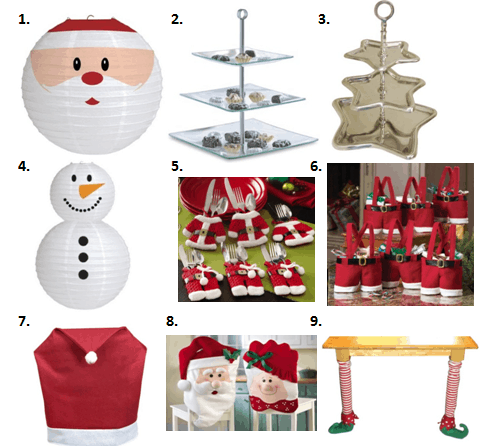 What other items would you add to the Christmas Scavenger Hunt game? What do you see a lot of during the holiday season? Christmas carolers? Someone hanging Christmas lights outdoors? An empty store shelf for a popular toy this holiday season? A message written in snow? Santa in the mall taking a coffee break with the elves? You can get creative and make your own additions to this free printable game. Do you decorate the outside of your home for the Christmas holidays? Looking for more fun & free printable Christmas games? Visit our special Christmas Fun page. There you’ll find free printable games like more scavenger hunts, trivia games, word search, charades, word scrambles and more! We’re always adding new holiday-themed activities to enjoy with your family. Follow along on Facebook to stay updated on the latest ideas and freebies. Also, Christmas is our most popular area on Pinterest – here’s a link to our Christmas board to check out more fun ideas. Happy Holidays! We hope your holiday season is full of great company & lots of laughter. *Digital paper & characters by Pixel Paper Prints.